This feature will split the statements as more as possible , and move them to a random position. 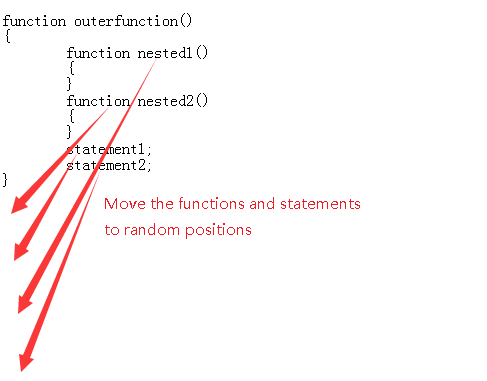 It's also move the nested functions to a random position. So that all the statements will be disordered, the hacker is much more hard to find the relative of the statements, or even give up. It's the most powerful feature of the JSO currently.